Last week I visited two exhibitions, very different from one another at first glance, but having conceptual and intimate similarities. One is a one-man-show, the other is a collective expression. One is to be seen and admired from a fair distance, the other one invites you to touch it, explore its insides, experience its material reality and wonder at its ephemeral existence. Mathematics. Geometry. Materiality. Organic development. Human. All these concepts are revealed and played with in these two exhibitions which are not directly connected and only brought closer by the time frame when I visited them and the synchronicity of the events. 5. Man Ray, King Lear, 1948. Oil on canvas. Hirshhorn Museum and Sculpture Garden, Smithsonian Institution, Washington, DC. Gift of Joseph H. Hirshhorn, 1972. 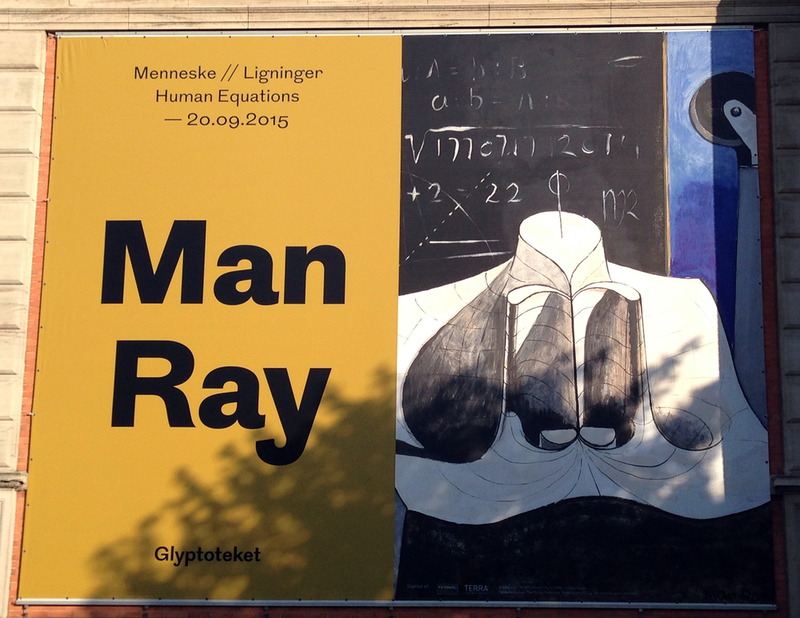 © Man Ray Trust / Artists Rights Society (ARS), NY / ADAGP, Paris 2015. Photography by Cathy Carver. 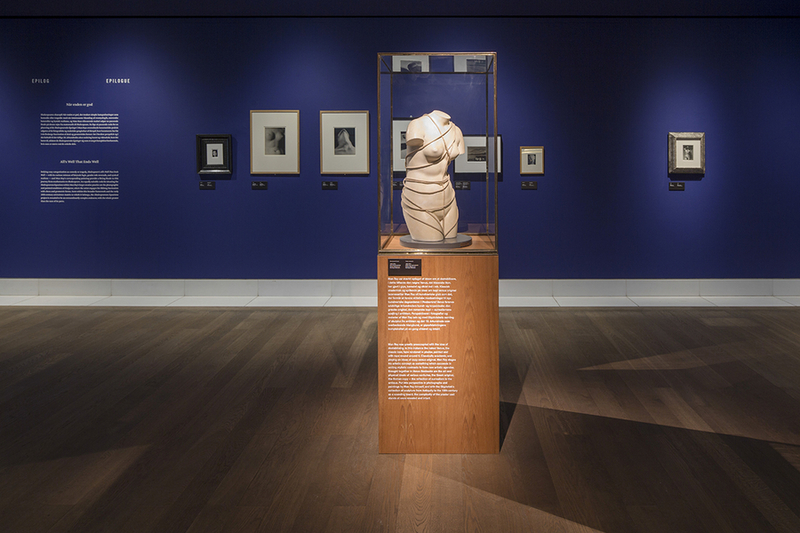 The exhibition shows 130 pieces of Man Ray's work and are united by the subject and the interest that the artist manifested at that time for this specific objects and concepts, such as mathematics, human forms and representations, and Shakespearean references. The exhibition brings together photography, painting, sculpture and installations and illustrates the artist's fascination with the shapes, and different interpretations of what is visible and invisible, created through association and meanings, that goes from the most accurate through the mathematical dimension to the most ambiguous given by the human factor. Admission to the exhibitions all days, including Tuesday. Admission includes access to the rest of the Glyptotek. 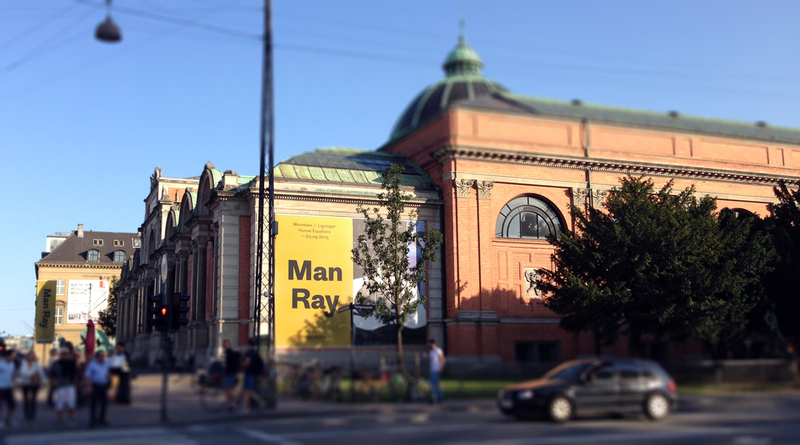 Guided tours in the exhibition Tuesday-Sunday at 13.30 p.m. The guided tours are free with valid ticket for the exhibition. In English. 238 pages, lavishly illustrated. Price 299 DKK. Available from the Museum shop. And now you might be wondering what is the second exhibition that I was talking about, and how are these two exhibitions connected. I was talking about mathematics, geometry and human factor. An organic manifestation of some mathematical patterns are specific to nature, but when this patterns are filtered by the human cognitive intelligence new forms appear, more calculated, and even though inspired from nature, their intention and meaning are altered and changed. Without having a pre-experience with the art piece I am talking about, my first impression was one of contradiction. And this effect was created in the ensemble of the context, where the piece was exhibited. It was like a huge spider web inside of a cathedral. That was the first image my eyes saw and my mind understood. The organic and natural shape of this web was creating the contradiction with the interior architecture of the Copenhagen's third oldest church (early 1200). 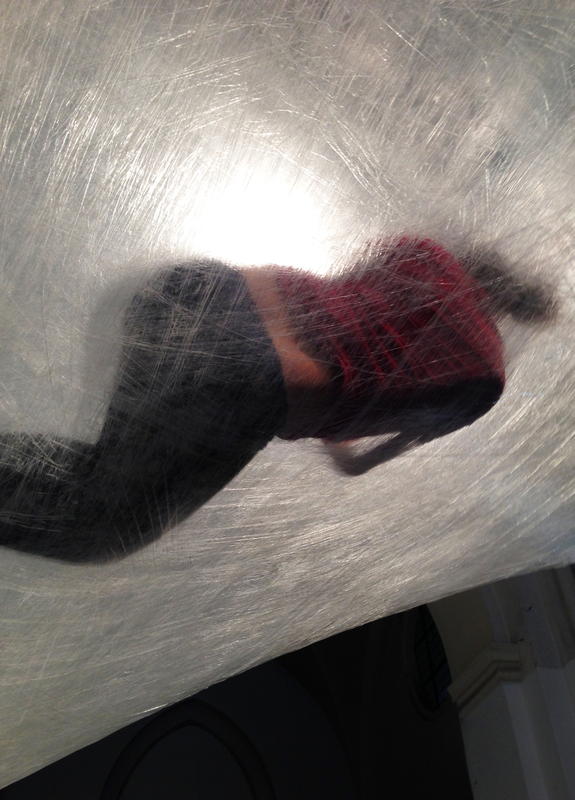 Numen / For Use: Tape Copenhagen - hosted by Nikolaj Kunsthal. After the initial moments of my interaction with the installation, which at first were simply visual and spatial, I was intrigued at the fact that the visitors actually could interact physically with it, meaning, touch it, explore its materiality and more than that live for a brief moment inside of it. This was exciting and I wanted to be part of it! So, I got inside. The apparent fragility of the installation together with the gravity and the motion created by the others crawling inside of it gave me a feeling of insecurity at first, but this feeling disappeared quickly when I started to crawl like a warm in a cocoon, feeling surprisingly natural and "at home". The space inside seemed like a labyrinth of arteries and I felt like in another world, more intimate and personal. Being inside of a web-like tunnels made out of tape inside of a very old cathedral in the heart of Copenhagen offered me a space and time of solitude and intimacy that was unique and at a personal level connected me with my inside. Because of the weightlessness and the irregular movement of the tunnels I was transported back in my mother's womb, a memory that I might not recorded and for sure I don't recall it in a conscious way, but it felt comforting and safe. With tape as its material, the design and artist group Numen/For Use explores Nicolaj Kunsthal’s particular architecture. They build a specially designed web, allowing for new ways of experiencing the art centre’s space. 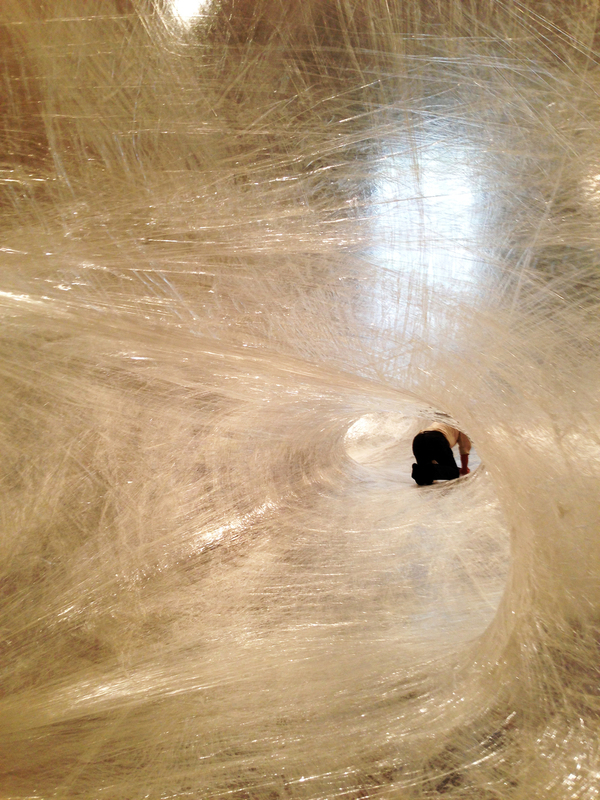 With TAPE COPENHAGEN, they transform tape, some 40 km of it on total, to an organic cobweb of passages stretched out among the pillars of the art centre. 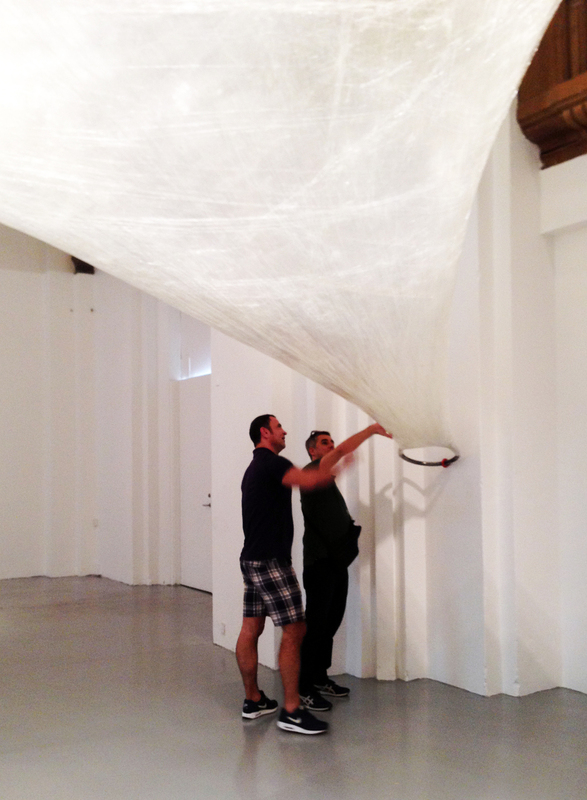 The installation presents a fascinating interplay between gravity and apparent weightlessness, between light and shadow, when people move about in the partly transparent web. As a collective, Numen/For Use works within art, scenography and industrial and spatial design with various materials and modes of expression. Formed in 1998, the group consists of Sven Jonke, Christoph Katzler and Nikola Radeljković, based in Berlin, Vienna and Zagreb. Inspired by German philosopher Immanuel Kant’s notions of the physical world and the ideal world, i.e. 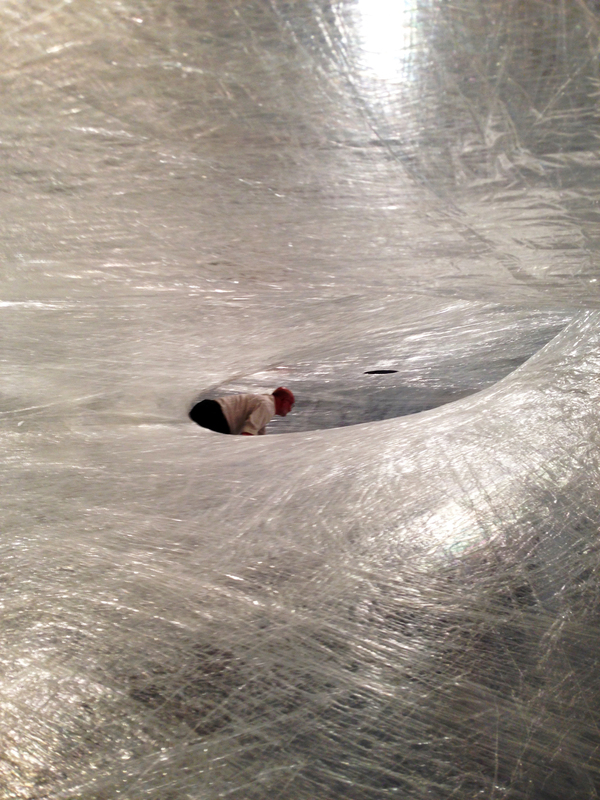 on the one hand the things in themselves (numen) and on the other hand how we experience them (phenomena), Numen/For Use works with reshaping a concrete and well-known everyday item like tape into a brand new and different phenomenon. The TAPE project has previously been shown at Palais de Tokyo in Paris (2014) and the Federation Square in Melbourne (2012). 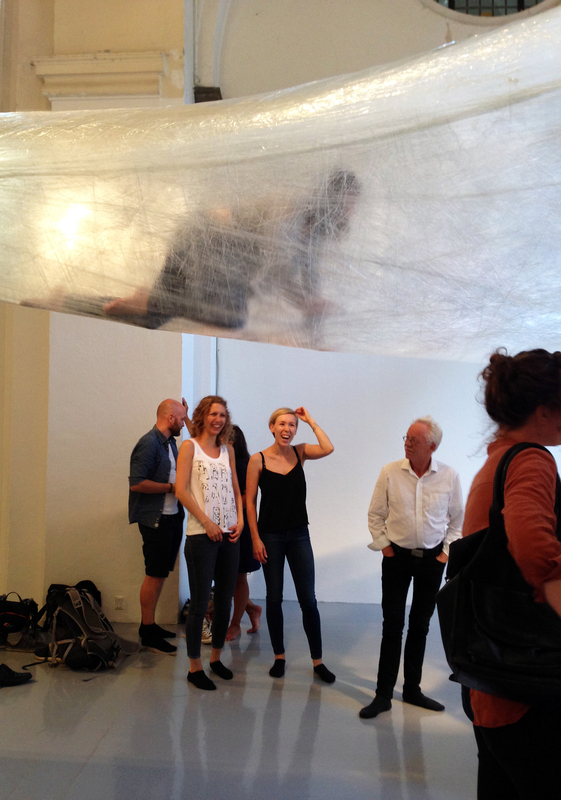 TAPE COPENHAGEN is presented as a part of Metropolis 2015 - Festival for Art and Performance in Urban Space, organised by Copenhagen International Theatre. Within the field of international contemporary art, Nikolaj Kunsthal, Copenhagen Contemporary Art Centre’s exhibition profile focuses on art that reflects and addresses current political, social and cultural issues. Our exhibition profile is based on dialogue between Danish and international art, on bringing historical perspectives to new material and media multiplicity, stylistic diversity, art in public spaces, digitally based art and – not least – an openness to new developments. We show art that has not been shown before and that can generate, inspire and intervene in social debates. I am a regular visitor of this amazing contemporary art space and I recommend everybody to go and see this exhibition. Being an ephemeral installation, the experience of seeing an interacting with it could be once in a lifetime and it is totally worth it. It ends in 24th of August. After seeing this exhibitions I cannot help but wonder at the way things are connected and interconnected and how much of impact or importance we have, we as humans in relation with nature, considering the fact that we are nature in a sense, and we shape nature with our intention. So, it's more important the inspiration or the information? Enjoy the last drops of summer!